Yesterday, Washington’s Board of Natural Resources (BNR) selected their preferred alternative for additional analysis as part of a long-term conservation strategy for the endangered marbled murrelet, a seabird native to Washington’s coastal areas. The Board of Natural Resources (BNR) alternative comes up short. Marbled murrelets need old forest habitat to survive, and protecting and restoring habitat on State Trust Lands in southwest Washington and on the Olympic Peninsula provides the best opportunity for murrelet recovery. In the selection of their preferred alternative, the BNR has ignored scientific recommendations to protect all remaining murrelet habitat on public forests, as well as the Washington Department of Natural Resources’ obligations to promote murrelet recovery. The BNR’s selected strategy is expected to reduce murrelet populations on state lands, which will further imperil its survival in Washington. The BNR’s approach does not comply with Endangered Species Act requirements, and it erroneously assumes that the State does not have the authority or obligation to help recover wildlife that depends on coastal state forests for survival. It is important to acknowledge that many rural communities are affected by State management plans. We believe that wildlife protections and healthy rural communities can coexist, and we look forward to participating at the Solutions Table convened by the Commissioner of Public Lands to chart a better path for wildlife and these communities. We are hopeful this table will create better outcomes for wildlife recovery as well as income to the trust beneficiaries. 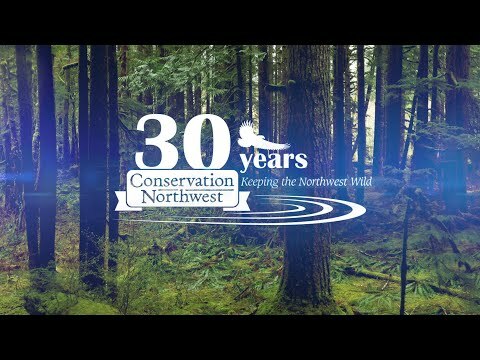 The Marbled Murrelet Coalition includes Conservation Northwest, Defenders of Wildlife, Olympic Forest Coalition, Seattle Audubon Society, Washington Environmental Council, and Washington Forest Law Center. The Coalition provided BNR with a Conservation Alternative using the best available science to chart a path to marbled murrelet recovery, and we will continue to press the Board of Natural Resources to fairly evaluate the Conservation Alternative along with the BNR’s preferred alternative to demonstrate which approach works best for murrelets and others that depend on State Trust Lands. Learn more about our work for marbled murrelets on our webpage.